The number one box office hit in the USA in 2005 was The Exorcism of Emily Rose. Appealing to lovers of the paranormal, the movie portrayed a young girl possessed by demons and entailed her suffering and the many exorcism rites she'd endured to be freed. Even with it's status as a number one hit, the movie rated mixed reviews teetering from spine tingling to dull. The movie also fell short of the reported facts, but whether you like or dislike the movie, the fact that it is based on a true horrifying experience of a young woman, has to leave an impression! The real Emily Rose, Anneliese Michel was a young, beautiful woman on her way to a career in elementary education. She was born on September 21, 1952, in a small village in Bavaria. Raised in Klingenberg am Main, Germany, her father operated a sawmill and the family was devout Catholic's. Anneliese had a seemingly normal childhood and as she grew older Anneliese became deeply religious. At the young age of 17, Anneliese's life turned into a nightmare. She began having unusual seizures during the night, she'd described the symptoms as paralysis, a enormous weight on her chest, her body becoming rigid and she wouldn't be able to speak. Doctors at the Psychiatric Clinic in Wurzburg diagnosed Anneliese as suffering from Grand Mal epileptic seizures. After the occurrence of her third seizure, she spent close to a year in a psychiatric hospital in Mittleberg. During her stay at the hospital, she started seeing demonic faces, especially during her daily prayers and voices telling her that she was damned. Doctors there began to medicate her with some type of anticonvulsant. Anneliese's frustrations grew when the medications didn't provide any help, she continued to see the faces and became more depressed. 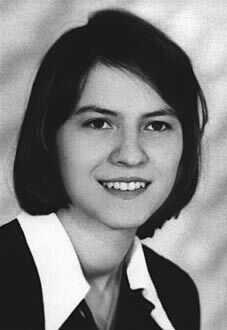 Once released, Anneliese returned to high school in the fall of 1970, she graduated and then moved to the city to attend the University of Wurzburg on a scholarship in 1973 and majored in elementary education. Convinced that medication wasn't going to help her condition, she grew to believe that it was a spiritual infliction. She requested that the church perform an exorcism, but they refused to do so and the church suggested that she should devote herself to a more religious life. Anneliese's ailments continued to get worse, she began self mutilation, would bite family members, ate flies, coal and spiders and even bit the head off of a dead bird. She had also began to rip her clothes off, would bark like a dog for days at a time and would urinate in the floor and lick it up. She'd began sleeping on a stone floor at her parents house to pay penance, atoning for the sins of others had been a part of Anneliese's life for years. She'd also began destroying any religious symbols, rosaries, crucifixes and paintings of Jesus. After five years into her horrible ordeal, her parents started seeing numerous priests and requesting an exorcism and met only with suggestions that treatment and medication be continued. The church has certain requirements that have to be met before approving of an exorcism, including supernatural powers, speaking in other languages and an adverse reaction to any religious objects. After finally declaring Anneliese demon possessed in September of 1975, Josef Stangl, the Bishop ordered an exorcism be preformed and Pastor Ernst Alt and Father Arnold Renz were given the assignment. Several demons were said to have taken possession of Anneliese's body, among them were Hitler, Cain, Nero, Judas, Legion, Belial and Lucifer. The exorcisms began in September and continued through the end of June in 1976. For ten months the rites were performed once or twice weekly and sometimes continued for four hours at a time. In many of these sessions, Anneliese would have strong attacks and have to be held or chained down. During the rites Annaliese would speak with a demonic voice in several different languages, including some that have died out years ago. Anneliese's health began to deteriorate, during the ten months the rites were being performed she'd refused to eat, saying the demons wouldn't let her. She'd also ruptured both her knee caps from performing approximately 600 genuflections - the process of dropping to your knees repeatedly. During this time she'd gave a written letter to the priest, stating that she no longer wanted to continue with the exorcisms. She told of the Virgin Mary coming to her and offering her two choices - to have immediate freedom from the demons or to let the possession continue for a while longer to reveal the danger and power of demons to the whole world and save souls. She was also told that before her death she would be free of the demons and would die in grace. Anneliese decided to remain possessed and stopped the exorcisms. She also predicted the time of her own death. At midnight on July 1, 1976, the exact day she'd predicted, Anneliese went to sleep, finally at peace and never woke up. She'd came down with pneumonia, was running a fever, in the last ten months of her life the fasting had taken it's toll. The autopsy report confirmed that she died of malnutrition and dehydration. A beautiful young woman, that had became almost unrecognizable weighing at just 68 pounds! None of the tests performed during the autopsy, including a microscopic study of the brain, resulted in any reasons for the cause of the seizures. An investigation concluded that Anneliese had literally starved to death and that if she'd been force fed she would still be alive. Both her parents, the pastor and the priest were all charged with negligent homicide and the trial started in March of 1978. Despite the introduction of several sessions recorded on tape, all four were found guilty. The sentences of six months probation, were more than expected by the people, but more than the prosecution had asked for. The prosecution wanted to impose fines on the priests and although, he wanted the parents to be found guilty he didn't want to impose any punishments on them! Right before the trials began, Anneliese's parents had asked that her body be exhumed. A Carmelite nun had sent them a message of a vision she'd had, in which she said that the body had not deteriorated and would provide proof that it was a supernatural case. With the excuse that they'd had to hurrily bury their daughter in a cheap coffin and wanted to transfer the body to a nicer one, they were granted permission to exhume Anneliese. Although, the parents nor the priests were allowed to view the body and no pictures have been released to the public. It was said that the body had decayed just like any other body. On February 25, 1978, the body was exhumed and transferred to a new coffin made of oak and lined with tin. Buried only 100 feet from the house she grew up in, Anneliese's grave is often visited. The case became the last time the Catholic Church officially recognized demonic possession and granted an exorcism. In her last words to the priests, Anneliese warned them to "Beg for absolution". And, a dying child's last words to her mother was...."Mother, I'm afraid"
Written by Connie Corder and Copyright © 2008 True Ghost Tales all rights reserved. No part of this story may be used without permission. Would you like to post your comment about this story? One of the last sentences says Since Emily Rose's exorcism it was the last case that the Catholic church has recognized possesion and performed am exorcism and I believe that to be wrong. I remember reading in the Times magazine not too long ago, that someone-- Popes? Had revised their exorcism standards due to the increasing amount of moral decay on earth that is resulting in more and more spiritual attacks in human beings. On January 26, 1999, Cardinal Jorge Arturo Medina Estevez, Prefect of the Congregation for Divine Worship and the Discipline of the Sacraments, announced that on November 22, 1998, the Solemnity of Christ the King, he had signed a decree by which a revised editio typica latina of De Exorcismis (Rite of Exorcism) was to be published. In response to article 79 of Sacrosanctum Concilium, this rite was revised to replace Chapter XII of the former Latin Roman Ritual, and will eventually be published in vernacular editions for use by the Church throughout the world. This rite may be used by priests who have been given a specific faculty to do so by the diocesan bishop. I just think we all need to get the facts straight, because many people have imaginations and will jump to conclusions. I love your site though-- I think you're doing a great job. Its really an interesting story... this was the last case of demonic possession according to the catholic church, right?... So does that mean the church does believe in the existence of ghosts? I am from India... and I am also a catholic. But here we find many many cases of demonic possessions even today, especially among the Hindu community... and most of these people possessed by an evil spirit see a gruesome end... is there any cure or any prescribed treatment to such cases?